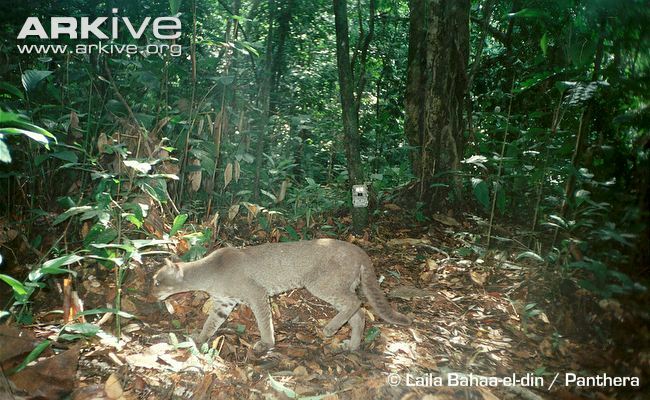 The African Golden Cat (Caracal aurata) is one of the three medium sized African wild cats, occupying the central African forests, whereas the caracal ranges the more arid regions and servals occur in the moister habitats. 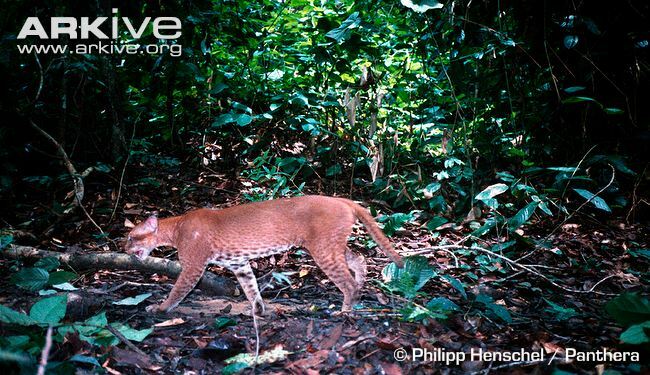 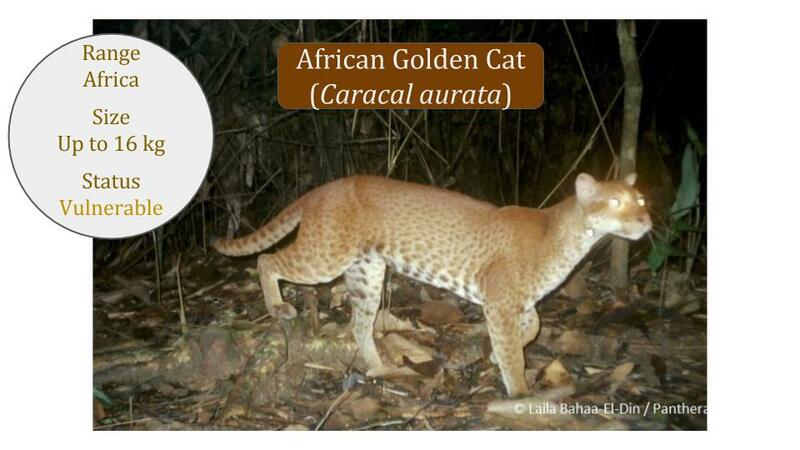 African Golden Cats have been little studied but with ongoing deforestation and the bush meat trade in central Africa, this cat is likely increasingly threatened as it's habitat and prey species disappear. 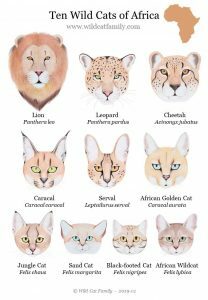 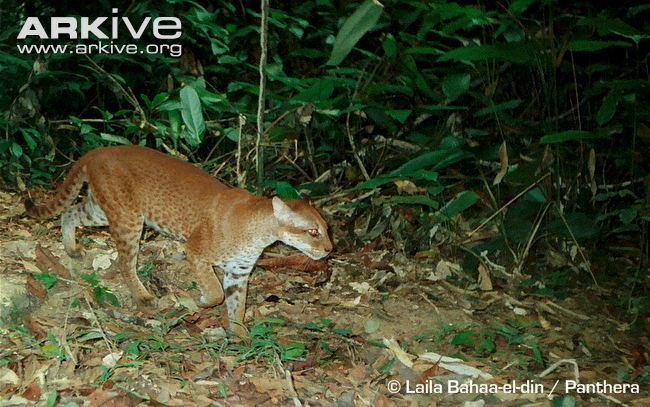 The conservation status for African Golden Cats is Vulnerable (VU); these forest dependent cats being highly threatened by forest clearing and bushmeat hunting in central Africa.